Here is a picture of our half-faced shelter in Fox Valley. This shelter is for the use of group members whenever they wish. Bradock's defeat. French & Indian War. Daniel Boone was a wagoner in this battle. A Daniel Boone Lifestyle ?! A Daniel Boone Lifestyle?! By Keith H. Burgess. Who was Daniel Boone? That is the question kids ask these days. When I was a kid growing up in the 50s, there was no doubt in my mind who Daniel Boone was. He was a Frontiersman. A woodsman, someone who could survive in the wilderness with just a flintlock gun, a butcher knife, and a tomahawk. He spent more time living in the woods than he did working on his farm. He was self-reliant, and had respect for the woodland Indians who were there in the New World before he was. He was an Englishman, even though he was born in the New World. He was intrepid and adventurous and he was my hero I guess. And who are the kid’s heroes today? I have no idea. What games do they play? I have no idea, but I am sure they do not play cowboys and Indians, or woodsmen, or William Tell. And do I play at being Daniel Boone at the age of 60 years? No I don’t, I play at being me, an 18th century English woodsman, except that I have been doing this living history and 18th century Historical Trekking for so long now, that I have actually become an English woodsman. So is it play? Yes I guess it is to some degree, I certainly get a lot of fun out of doing it, and at my age that must count for something. All the people I have met that enjoy this pastime/hobby/lifestyle have had an equal interest in wilderness survival and self-reliance, and it is not just because like me they grew up in the 50s when the Daniel Boone craze started. It is simply that this interest in survival and self-reliance just naturally seems to lead to an interest in a Daniel Boone lifestyle. So what do we do besides getting about in funny clothes?! Well we practice and learn a lot of 18th century Frontier skills. We go camping 18th century style which is a lot more fun than using gas burners and plastic plates. We get to carry knives and tomahawks, and even at my age I still find that exciting. I get to build primitive shelters and camp in them, even in winter when it is snowing. Winter is my favourite time of year to go trekking and camping, it is more of a challenge. No I don’t get to wear a funny fur hat; Daniel Boone never actually wore one himself, despite what you may have seen on television! I wear a low crowned wide brimmed black felt hat which protects me from the sun and the rain and snow. I do get to wear a cool long waistcoat, a wide leather belt and real woodland Indian moccasins which I make myself. Do I feel inhibited at all? Well I guess I might if I were not doing this stuff with like minded people, but we have so much fun I never really think about it. And what did your kids think about you doing this when you were younger? Well they thought is was great, just the bees knees. They got to carry a tomahawk and a wooden gun and they got to camp and play with dad. So if you really think this sounds like fun, then get out there and do it. You only get one life and there is no point in letting self-consciousness hold you back until it is too late. There is a new Frontier to be explored, and the water is fine, so come on in. Keith is a book author, and 18th century Living Historian, Historical Trekker, and an experimental archaeologist. He is also a primitive skills instructor and founder member of the NEW ENGLAND COLONIAL LIVING HISTORY GROUP. http://woodsrunnersdiary.blogspot.com. PLEASE SCROLL FOR THE "JOIN" BUTTON. 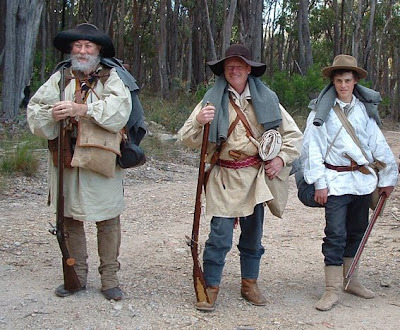 AUSTRALIA WIDE LIST OF LIVING HISTORY & RE-ENACTMENT GROUPS, CLUBS & ORGANISATIONS. · The Australian Register Of Living History Organizations (ARLHO). · New England Colonial Living History Group. Contact: Keith Burgess. Post: MSF 2007, Armidale 2350.Phone: 02 67 755 292. Email: historicaltrekker@gmail.com. 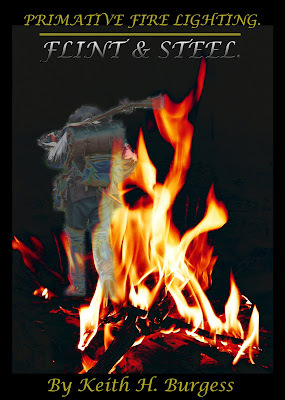 Web site: http://woodsrunnersdiary.blogspot.com (Early to mid 18th century historical trekking & camping & other living history activities). · The Company of The Phoenix. http://www.phoenixcompany.org.au/ (1377-1453ad. Re-enactment ). · The New Varangian Guard. http://nvg.org.au/ (Late 11thc.-Late 12th century Medieval re-enactment). 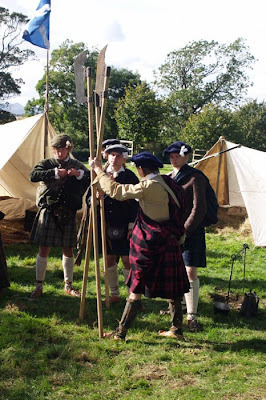 Living History & Historical Re-enactment Groups. What we are & what we do. Participating in living history is a way of experiencing a past lifestyle. Living history is about re-enacting a past lifestyle. You can choose your period, and a character you wish to emulate in that period. You wear the period clothes, and use the period equipment to accomplish period tasks. This can be anything from Historical Trekking & camping (which includes a wide variety of period & primitive skills),to other living history activities such as flint & steel fire lighting, open fire cooking, finger weaving, loom weaving, tomahawk throwing, & many other period living skills. Historical Trekking is trekking in period style. You wear period clothing, and you carry and use period equipment. 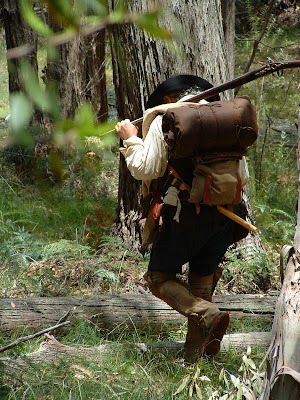 Historical Trekking can cover any period, but mostly to date, it is 18th century only in Australia. 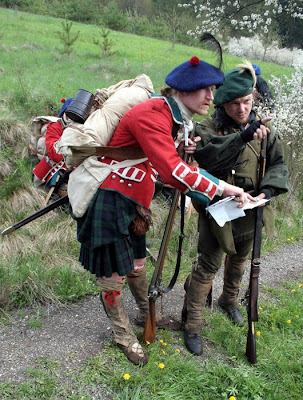 Historical Re-enactment is mostly of a military nature and includes battle re-enactments and the lifestyle that revolves around those battles. All of the above activities tend to be family oriented, and can include a wide variety of interests, crafts and skills. If you were looking for an activity that the whole family can get involved in, together, then one of the above would be a good choice. Written to bring Living History & Historical Re-enactment to the attention of the general public Australia wide. Copyright Keith H. Burgess. Loading & firing a flint rifle. Battle Of The Plains Of Abraham. The 18th Century Trading Post. 17th Century Matchlock Musket Drill. POSTAL CHARGES FOR FIRE LIGHTING BOOK AND THE GUNNISTER MAN'S PURSE. Primitive Fire Lighting-Flint & Steel Book: $11.00 Aust. Gunnister Man's Replica Wool Knitted Purse: $50.00 Aust. This is the original Gunnister Man's purse. Note the loops at the top for the drawstring, other copies do not include these loops, but the copies below do include these loops. The original colour is in debate, but it is thought that it may have been originally a gray wool. The copies that Carolyn makes all use colours that were available in Gunnister Man's period. 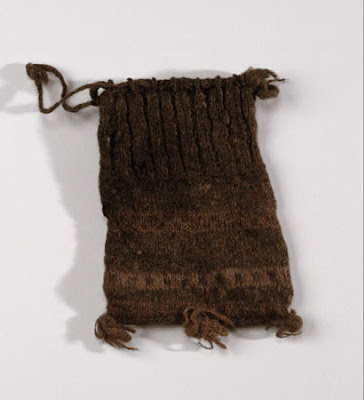 This copy of the Gunnister Man's purse is as closer copy as you are likely to get, regarding the wool size and type, the pattern and the cord closure which is as the original. My wife Carolyn is making these for sale so if anyone is interested contact me. 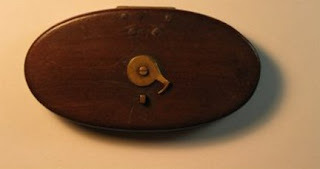 This purse is dated by the coins found inside, but it is likely that this style was used earlier and later. Andy Burke Talking About Leather. Jerimiah Johnson-100 years too late for us but I like this scene. The Smuggler. Abit later than our period but I like this one. 17thc.-18thc. Historical Trekking. Equipment requirements & pack weight. 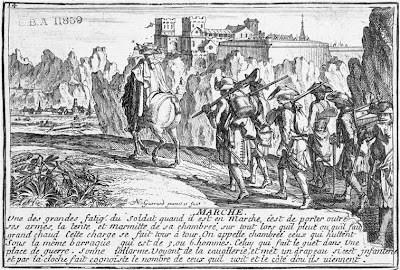 17th century-18th century Historical Trekking. Equipment Requirements & Pack weights. These findings are based on 17th & 18th century militia requirements. There was no set time limit for militia scouts, these could take anywhere from a few days to a week or even months. Given the sort of supplies required by the military of the day, 1lb beef, 1lb bread, per day, & 3 pints of peas per week plus cheese it is doubtful that any man could carry enough of this type of food for a week or more plus their arms and equipment. So let us just for arguments sake say you carry 2lbs of peas, rice or cornmeal & cheese. This should cover you for about 10 days, so that is a total food weight of 6lbs. Some militia requirements for rations were only 3 days, perhaps this was a minimum standard for short scouts, I don’t know, but we will base the food requirement on 10 days as above. It was & is generally accepted that one carries powder & lead in a 2-1 ratio, 1lb of gunpowder to 2lbs of lead. Some lists mention 20 ball plus 15 cartridges in a belly box plus swan shot. Another mentioned 4 lbs of lead. For our estimations we will stick with the 2-1 ratio, so that means we have 1lb of gunpowder plus the weight of the powder horn, & 2 pounds of lead. A water canteen was a requirement & my full leather costrel weighs 4 lbs. My shot pouch also weighs close to 4 lbs. My knapsack packed weighs about 20 lbs (includes blanket roll, wool shirt, cap mittens & extra weskit, oilcloth. Cup and brass kettle, lead, spare lock parts). As historical trekkers we constantly search for the truth regarding what we wear, use, eat, & carry, at the same time we realise that there must be a compromise between two principles: minimum weight & maximum self-reliance. I hope the above goes some way to helping you make personal choices within historical boundaries. If you have reviewed your equipment etc, and think it still weighs too much, perhaps that was just the way it was! If anyone has more information which may conflict with my findings, I would appreciate you sharing what you find. MARCHE Possibly late 17thc. to early 18thc. As part of our group activities we have added a sub group, a survival group. This will cover primitive wilderness survival, and survival at home in a community crisis. We already cover wilderness survival skills, clothing, foods and equipment in our present activities, this sub group will hopefully appeal to survivalists who know nothing of Historical Trekking. Both groups are contactable through this site. This shows some of our members just before they set off on the trek on the first day of winter. OLDE TIME ADVENTURE FOR YOUNG AND OVER 40s. The New England Colonial Living History Group is a non-profit group dedicated to keeping pioneer skills alive, through 18th century living history and experimental archaeology. At present we are looking for new members to join our group. Our main period of interest is 1700-1760 in the New World. We chose the new world because it gives us more freedom of choice in nationalities, period living skills, wilderness survival skills, trekking scenarios, period tools, and clothing styles. Also of course Australia was not settled in our period of interest. Our main activity is Historical Trekking, that is hiking and camping 18th century style. We only use original items or copies of 17thc.-18thc. Items, including clothing and equipment. Our campfires are lit using flint, steel and tinderbox or fire-bow. Our food is roasted or boiled in a period trade cook kettle, which is small enough to fit in our knapsacks. We don’t usually carry period tents, except when we attend Living History Rendezvous, because they are too heavy. Instead we carry period oil cloth and build our shelter on-site. We are strong on period living skills and primitive wilderness survival skills and practice these as normal activities on historical treks. Some of the skills we learn and practice are: Flint and steel fire lighting, fire-bow fire lighting, spinning and loom weaving, finger weaving, tomahawk throwing, survival shelter construction, wet weather fire lighting, open fire cooking, primitive tool construction, and more. For those who wish to practice the skills from the comfort of a warm fire in winter, our group holds meeting at Elm Cottage in Wychwood Forest, not far from Armidale on the Old Armidale road which leads to Guyra. The back road from Guyra is a short cut for those coming from Glen Innes and Inverell. The New England Colonial Living History Group charges no membership fees, as we are all volunteers. There is only a small charge for individuals to pay for insurance cover, and this is payed to the Australia Living History Federation, of which we are members. There is no age limit for membership, though parents and guardians are responsible for minors. Most of our members are over 40, though we do have some young family members. If you are looking to make new friends, or looking for a hobby, interested in history or primitive skills or wilderness survival, or just looking for something to do on weekends or for something the whole family can participate in, then our group could be just what you are looking for. We have regular meetings on the first Sunday of each month, though historical treks and drive-in camps can be organised at any time to suit individual members. If you think you might be interested, and want more information, please contact: Mr Keith H. Burgess. Phone 67 755 292. Email: historicaltrekker@gmail.com Post: Mr Keith H. Burgess, Wychwood Forest, MSF 2007, Armidale 2350. And at: http://skirmishmagazine.ning.com/ which is the forum for Living History Worldwide. GROUP STATEMENT OF AIMS FOR POSTING TO OTHER GROUPS. I would very much appreciate it if you could include the following information in your next member newsletter. My very best wishes and most sincere regards, Keith H. Burgess. NECLHG. 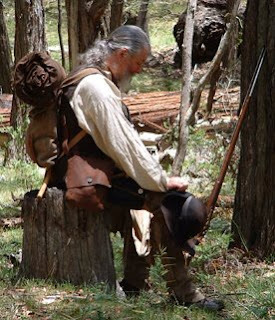 We, the New England Colonial Living History Group are dedicated to the study of the New World frontier lifestyle by means of literary research and experimental archaeology. We are living historians, historical trekkers, and experimental archaeologists, studying and emulating to the best of our ability the period of 1700-1760. This also involves some research into the late 17th century. As is the purpose of an archaeologist, to establish facts about people in a particular time period, we establish facts and an understanding of the people and their lifestyle in the early to mid 18th century. 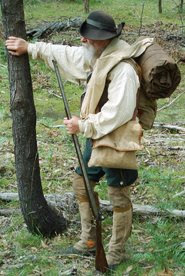 This is accomplished through experimentation in various historical situations, often in a wilderness setting, by using clothing, arms and equipment that was used between 1680 and1760 on the New World frontier to accomplish historical tasks and everyday living activities that involve period living skills and primitive wilderness survival skills. We are not historical re-enactors involved in public displays; we practice our skills and experimental archaeology in the privacy of Wychwood Forest. We do however encourage the public to approach us for historical information, and we welcome enquiries for membership. How to get started in our living history group. ©Copyright Keith H. Burgess Esq.2007. Our group’s main period of interest is 1700-1760 in the North Eastern parts of the New World. Your Persona: Before you can start to research the period, you need to choose your persona; the type of period character you wish to emulate. Your choice may be influenced in several ways. Q Who were your ancestors back in the 17th &18th centuries? What country were they born in & what were their occupations? This knowledge may give you a starting point. Q If you had lived in the 18th century, what sort of lifestyle would you have chosen, given the choice? Q Our group is very focused on the period living skills & the wilderness survival skills. Our main activity is historical trekking, that is trekking & camping in a historical manner using only period equipment or copies of that equipment. In order to participate in historical trekking you need to be properly clothed & equipped, so you need to choose a persona that would at some time have traveled & or lived in the woods. The following list of personas will give you something to choose from. · A trades person or labourer who is also in the local militia. · A woodsman or woods woman. · A person who was captured by Indians & was adopted into Indian society. · An ex-military person with a new occupation. · What were the most common clothing & equipment that your persona would have used? · What other clothing & equipment choices were available? · What skills would your persona have had? · What other obligations or occupations might your persona be involved in, such as militia duties ? Before you start searching the net, or Dixon Library, check with Keith to see how much research information is already in our library. Our authenticity rating is very high, so you can count on us to help you as much as possible and make sure you get the right information. Good research will increase your enjoyment of living history, and it will save you a lot of time and money in the long term. Always remember that early styles of clothing and equipment can be used in a later period, but later styles cannot be used in earlier periods. Also if you are living in the years between 1700 and 1760, not everything you own will come from that period. It is only reasonable to expect that you may have items dating to the 17th century. Some people find it easier to relate to a different period and lifestyle if they give themselves/their persona, a different name and history. I did not change my name, but I will offer you my own persona as an example. I found this construction of a fictitious history easy to do by basing it on my actual history but setting it back 300 plus years, though my family home was actually built in 1745AD. My name is Keith Henry Burgess. I have two Woodland Lakota Indian blood brothers. They named me Le Loup. The year is now 1740, and I was born in 1680 in England in a small town on the south coast. My Father owned a large house in sheep lane called High House. My Great Grandfather was a wheelwright, and my Grandfather a harness maker. My Father was a stage-wagon driver and owned his own stage-wagon. He wanted me to continue in that work, and although I mostly enjoyed working for my Father, the hours were long and I did not want to spend the rest of my life driving a stage-wagon in all weathers. I was also starting to feel confined. The lands I happily roamed and played in as a child were no longer open to me, and so I decided to leave England and voyage to the New World. I was fortunate to leave my home with a little of my own money, a good knapsack and haversack, an oilcloth my Father gave me, and also a good fusil. When I arrived here in New England, fifteen pounds of meat was worth £1.1.6, so I was able to start my new life as a woodsman, or as we would say in England a forester and hunter. I have worked as a farm labourer for 8/- a day when game was scarce close to the settlement, and I have worked as a scout and courier in the local militia, known as the Flying Company. I am now in my 60th year, and married with three fine sons. My home I have built in a forest, which I own and have called Wychwood Forest after a forest so named in the old country. I have known and lost three good close friends in my time here, which has been forty or more years. Our forest farm supplies most of our needs, and what we do not produce, can be traded for. · Primary sources of information are best. These are accounts written in the actual period. Information may be in the form of books, someone’s estate records, diary notes or journals, and paintings and sketches. · Secondary sources are accounts that were written in the period by people who were not actually present at the particular event themselves, so their interpretation may not be correct. · Tertiary sources are books, magazines and papers , often written many years after an event, even hundreds of years, and what is written is an overall view as interpreted by the author. This can be a good source providing the author supplies a Bibliography so that you can check where the author got the information. · Experimental archaeology is the using of period tools, clothing and other items to perform a period task. This can be anything from building and sailing a ship, to making fire with flint and steel. Historical trekking is a good example where many tasks and skills are performed, and which gives a broader understanding of a particular lifestyle. Once you have done some research and decided what clothing and equipment you need, it is time to start collecting the items you need. You may not be able to afford ready-made items, or you may wish to make your own clothing and equipment as far as you are able. Some items can perhaps be traded for, you can also use second hand materials purchased from op-shops and second hand stores. Second-hand clothing items can be used for many things, and so can wool blankets and good cotton or linen bed sheets and tablecloths. My first real linen shirt was made from a linen tablecloth, and three of the best knives I have were purchased second hand, two from a second-hand store, and the other from a stall in the local market. All three knives appear to be originals, and the handles on two of them are pinned in the correct 18th century fashion. The third had no handle. In our group there is no pressure put on members to be fully clothed and equipped in a certain period of time, but we do like to see some effort being made in that direction. If you are having a problem finding certain items, or need some advice, don’t hesitate to ask for help. The Blog listed below is for member use, please feel free to post comments and questions. We are frequently updating the information on this site so please visit as often as you can. The more our site is used, the more often it will show up in someone’s search and perhaps attract more membership. Mail: C/o Keith H. Burgess, MSF 2007, Armidale NSW 2350. Period of interest: 1700-1760AD in the North Eastern parts of the New World. Our clothing and most of our equipment reflects this period, but some items of equipment can date back into the 17th century. 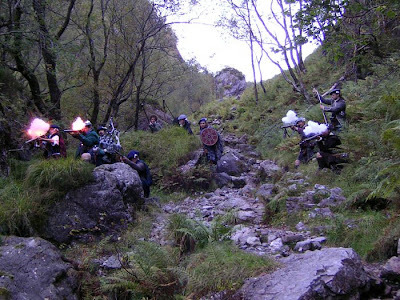 Activities: Our main activity is historical trekking and the skills, and research associated with historical trekking. We can however accommodate those who don’t wish to participate in historical trekking and just wish to learn some period skills and crafts and experience a little of the colonial lifestyle. 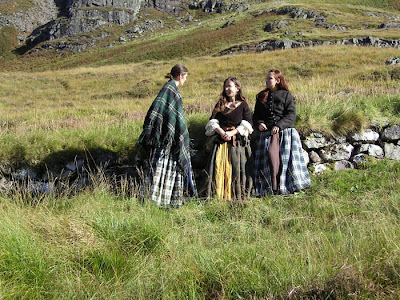 Historical trekking is trekking and camping in a historical style, using only period clothing and equipment. We trek all year round, but do most of our trekking in winter. Winter poses more of a challenge in regard to skills, and clothing and equipment choices, but it is also more pleasant in regard to the lack of biting insects and snakes. We place a lot of emphasis on the period living skills and wilderness survival skills and these skills are practiced as part of our normal trekking activities. Common skills used on treks are: Flint and steel fire lighting, tinder production using only wild plant fibres, wet weather fire lighting and fireplace construction, primitive shelter construction and using natural shelters, primitive survival trap construction and use, cordage and rope making, tomahawk throwing, open fire cooking methods, wild edible plant and tinder plant identification, stalking and tracking, firelock fire lighting, flintlock muzzle-loading and or archery, and more. Other skills that can be learnt and practiced are: Helve and stail making, hornsmithing, spinning and loom weaving, finger weaving, leatherworking, tanning, fire-bow fire lighting, reading glass fire lighting, period fishing, moccasin construction, and more. Where and When: Most of our activities including trekking and camping are performed in Wychwood Forest. We have regular meetings on the first Sunday of each month. Meetings are usually held at Elm Cottage. Members are welcome to attend on the Friday or Saturday and camp over. Regular meetings start between 9 and 10am. Organised treks can be on any day, but usually over a weekend. Costs and Fees: Membership is free, but members are required to pay an insurance fee of $16 per annum to the Australian Living History Federation. We help keep expenses down by advising on the most inexpensive clothing and equipment options and by encouraging and helping members to make their own clothing and equipment. Items can also be purchased or traded for if members wish. Rules and Regulations: We have strict safety rules and regulations. We are a volunteer based organization and as such all members are protected from any liability (duty of care) claims by the Government’s Civil Liability Amendment (Personal Responsibility) Bill 2002. We are also covered by the ALHF insurance policy. We set no time limit on members to become fully clothed and equipped in period style, so long as we can see some effort is being made in that regard. We hope you find this information of some use; you will find more information on the group blog site listed below. Please feel free to post comments and questions on this blog. should you need any further information, please don’t hesitate to contact us. Group Page At: http://skirmishmagazine.ning.com/ Post: Keith H. Burgess, Wychwood Forest, MSF 2007, Armidale 2350. Joseph, thanks for you're feedback and input. I have since done more research and found documentation for non Indian belt pouches as well. We would like to invite you to join us at the Skirmish magazine site, this is the forum for Living History Worldwide. You will find the link on the links section to the right. Thanks again, much appreciated. Regards, Keith. http://skirmishmagazine.ning.com/ This is the site of Living History Worldwide. If you are not in Australia, this is the best we can do for you right now. If you are in New England Australia, and wish to join us here, please contact me. Regards, Keith. These pictures on the Living History Worldwide Site. See other groups. Pictures shared by a friend-Dave Clarke. MEN'S WORK FROCKS 17THC & 18THC.
! Re your question about primary info on the shirt frock. First of all with research it is never, or rarely a matter as simple as finding a/primary piece of info, which you probably already know. It is a matter of piecing together a lot of information from a lot of sources. At least that is the way I have mostly found it. I will give you a brief run down here, and if you wish to give me your ordinary mailing address I will send you what I have. There is simply too much to send via email, and I am not very computer literate.First of all the word smock, is a word used for the early(17thc.) shift or chemise. The word used for the men's work outer protective garment was frock. These days we call them smock frocks or smock-frocks. Another early name was slop. This word I believe was more commonly used for seamen's frocks, hence the use of the word later on of slops, to describe seamen's clothing in general.There were infact two main types of smock frock in the 19thc., and of course variations of these in the 17th & 18thc. The round smock frock was reversable. It looked much like a man's shirt from the front and the back. But there were variations within this style and one of the terms in modern use is the shirt style smock frock which is I believe a round smock frock.I have a picture of an original mid 18thc. frock, and it is this type, ie it looks like a man's shirt from the front and back, it is reversable. The coat smock can also look like a shirt type, because it has an open front, to various depths, and has a button closure. All the open front smock frocks have a button closure in the 19thc.There is far less info on the early frocks. These garments were handed down Father to son until unrepairable. The only reason I have a picture of one is because it was made for an artist to fit a doll. Back in the middle ages there were a variety of garments made like the smock frock we have come to know but without arms. These were used as outer and underwear. From these developed the shift or chemise which had a shirt like open neck, and it had arms. The male equivalent was the man's shirt. From these it is believed that the men,s frock developed. So it makes sense that the 17thc to early 18thc. frocks looked much like the early smock and men's shirt.The general design has always been the same, but there was quite a variation in the collars and the front opening. These varied with the areas in England and Cymru(Wales), and the people who actually made them.Where the later Revolutionary frock came from I can't say, I believe it was truly an American develpement. The collars of some of the 19thc. smock frocks in England were made to form capes, so this may also have existed on early frocks and so developed into what we now know as the Rifleman's frock.But the early pullover style frock that we know so well that was used up to and through the F&I war and into the Revolutionary war, did not have time to develope into anything other than what it was, a (smock) frock.Later I believe this frock developed into the many variations of the round smock frockwith its variety of collar types and button front closures, but I also believe that there were other types of (round smock) frocks in existance at this time, especially the type refered to as a wagoner's frock in a well known 18thc. quote. This type too I believe was a round frock type, but I also believe that there was no specific wagoner's smock type, or at least that Wagoners did not always wear the same type of frock, and that a variety of types were worn by various people in various occupations.My research into all things 17thc. and 18thc. is ongoing, so I, or someone else may well find more information yet, but for now we can only go with what we have. I hope this is of some use and interest.Best wishes and most sincere regards, Keith H. Burgess. PS. I also have a picture of a painting by Krimmel, 1803, clearly showing the shirt style smock, which proves it was still in use post revolution.